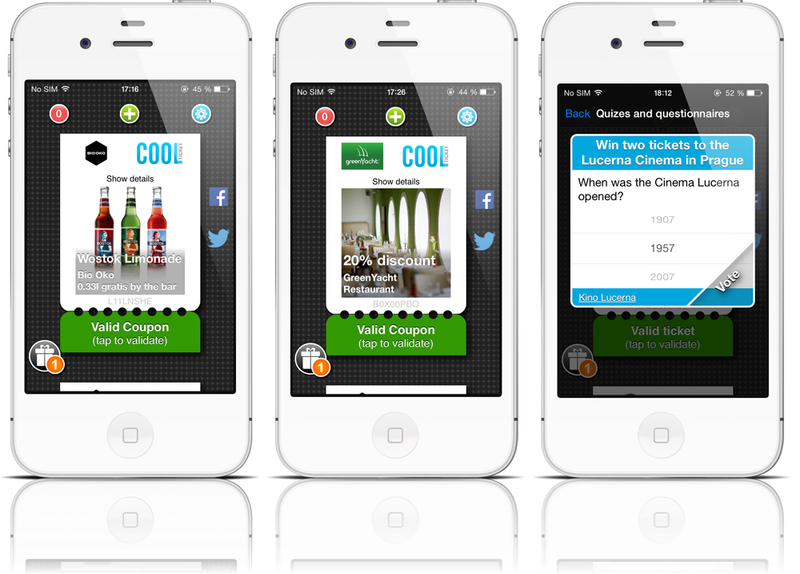 Cool Ticketing expands its product portfolio with discount and gift coupons. Currently there is a promotional campaign offering free drink with each ticket. The bartender validates the coupon in the customer’s cell phone without requiring the use of any technology, and gives the customer their drink. We newly offer quizes with prizes that are shown as gift icons directly in the mobile app. This way a valuable list of new potential customers can be obtained. A quiz where in case of a correct answer we immediately send a gift coupon. Mass distribution of coupons according to the location or cultural event which the customer has visited. A questionnaire where the winner is randomly drawn from the responses. A coupon automatically sent with each ticket. 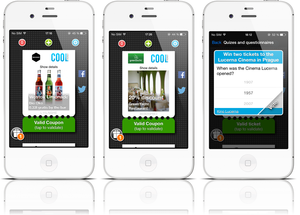 The displaying of the quiz can be conditioned by the specific city where the mobile device is located. Monitoring of coupon states (sent, delivered, used, deleted) then allows a detailed evaluation of the campaign.